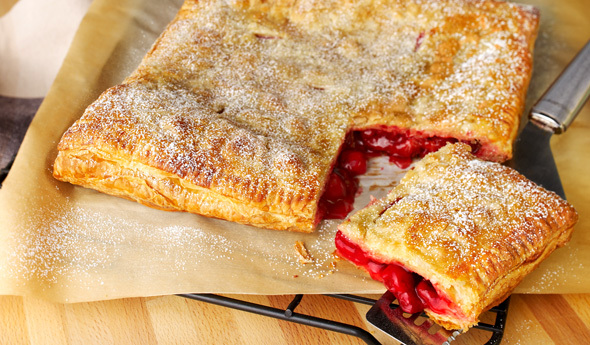 Nothing could be easier than this fruit pie made with puff pastry sheets. Add your favorite prepared pie filling—cherry, apple, blueberry—and you've got a delicious, homemade pie. This is a very easy dessert or snack or breakfast treat very easy to make! My guests thought I was "amazing"! It looked so "bought". I had sprinkled confectioners sugar over before serving. Oh yes, don't use "lite" pie filling...it was too tart.